Some things never get old! 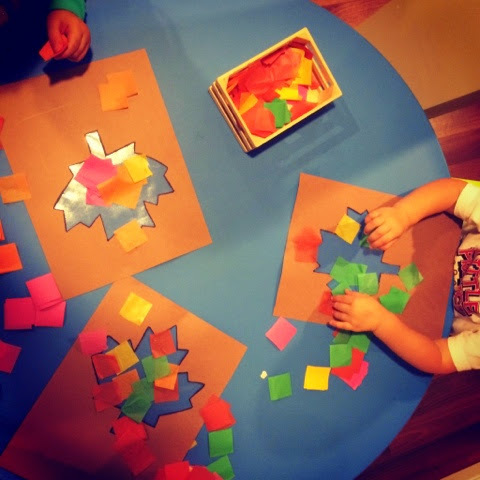 If you have never done this activity with a multiage classroom, DO IT! This table holds a 1-2 and almost 3 year old. 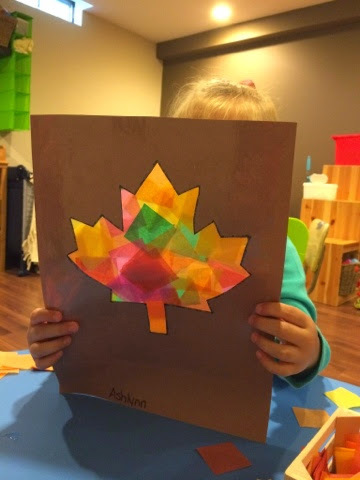 Other then the fact that I cut out the leaf and stuck the sticky paper on they did the creative part themselves. The finished product is beautiful and they know it!